Just home from ferrying a child who is off to Paris... September in Paris sounds so very lovely. And thank each and every one of the 698 people at goodreads who signed up for a chance at the book, and to the 275 who popped it onto their to-read list. 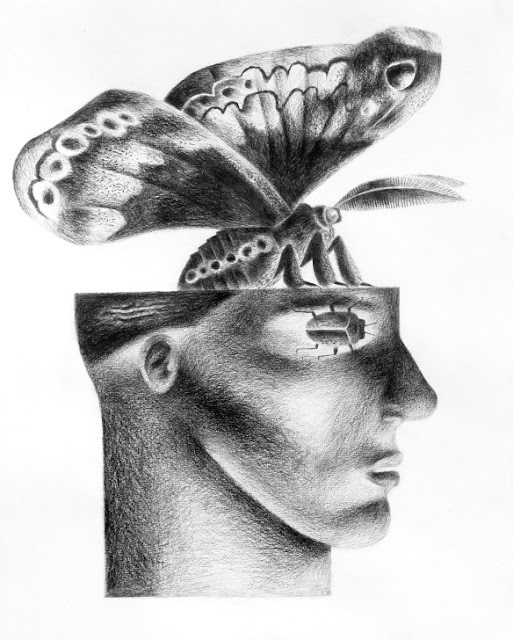 I also have a couple of poems in the just-out current (print, though I expect that issue 13 will eventually be up at trinacriapoetry.com) edition of Trinacria, edited ("by invitation") by the feisty, formal-poetry-defending Joseph Salemi. And those two are "Solitaire" and "In the Dream Behind My Eyes." Photos: This is a sixteenth-century prayer-nut on display at the British Museum. Photo credit is unlisted at my source... though I'd be happy to credit more than the British Museum! 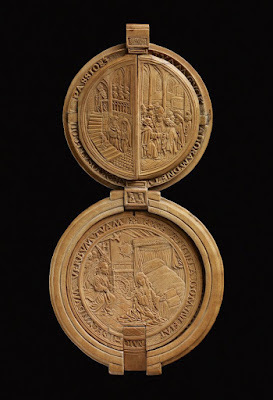 If you want to see more prayer-nuts (they are fascinating) in a round-up of examples, go to My Modern Met. 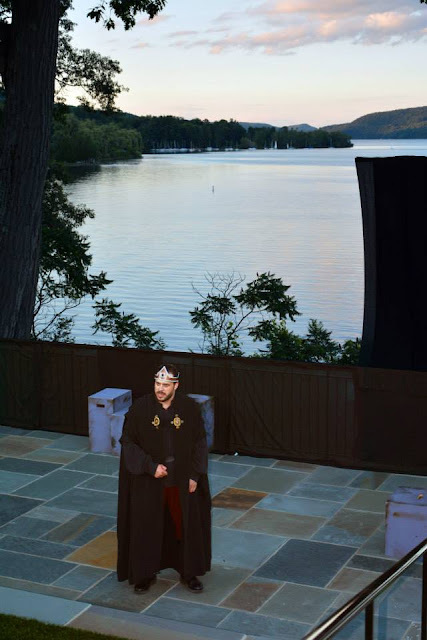 Lovely evening at the new Hamilton amphitheater behind Fenimore Art Museum, starting with a champagne picnic with shrimp salad and duck enchiladas and baguette and meringue cookies, followed by "Macbeth" with newlyweds (well, a year out--still new!) Michael and Danielle Henrici as Macbeth and Lady Macbeth. Must say that a pregnant Lady Macbeth adds to the drama of many lines. So fine to see a great play with Glimmerglass lightly wrinkled in the background and gulls flashing white against the hills. Photo from the Fenimore Art Museum album on Facebook. above Hamilton amphitheater at the Fenimore Art Museum. Photograph by Macbeth, aka Michael Henrici! Official pub date is rapidly approaching: September 1st. from the lovely Lady Word of Mouth. 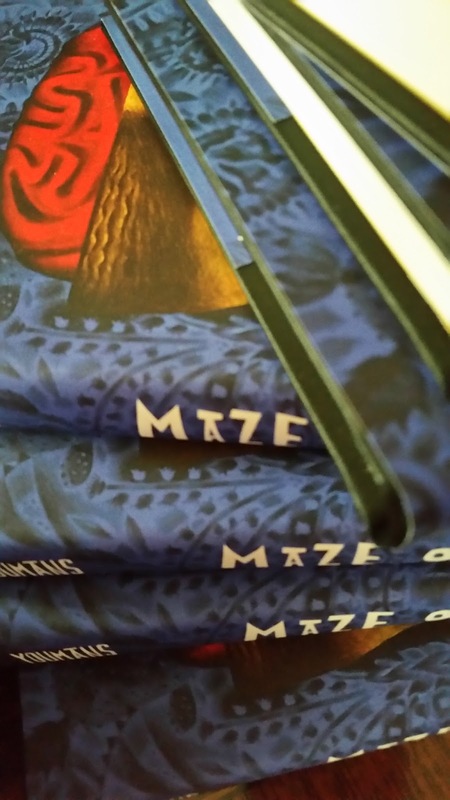 If you are on Goodreads and haven't signed up for a chance at a signed copy of Maze of Blood, please do so! It's a short giveaway, with 330 people signed up so far. It helps spread the word, and some lucky person gets a free signed book and postcard. Find an independent bookstore at indiebound.org. with art by Clive Hicks-Jenkins. I'm very glad to see that there is now increased resistance against those who would assert their power by attacking artists of all sorts--visual artists, writers, composers and musicians, choreographers, and more--for what they term "cultural appropriation." This interesting little bit of jargon is, in fact, entirely alien to the world of art. Those eight syllables would destroy art if they only could. 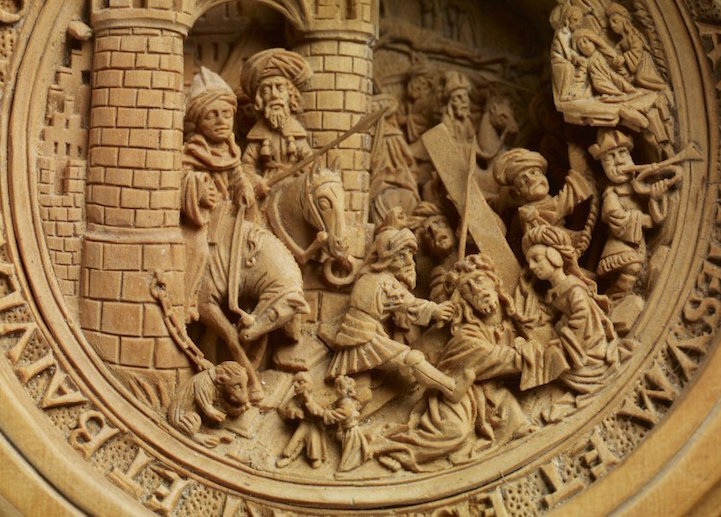 Because the story of the world's culture is the story of peoples bumping into one another and learning from one another, of wonderful gifts being shared across all lines of nation and group and century. It is a form of enchanting, metaphysical trade, plied in all directions and in all times. For if art does not transform, enliven, and generate new art, it is not successful. And one of the main ways art remains vital and new is through influence from other people, other places, other cultures. The art world is a great Silk Road, populated by wanderers, travelers with strange goods and magical new energies. These are the artists, those who love to make. Let them meet, let them trade, let them love the world by sharing their gifts. Terence said this about the matter, a long time ago: "Homo sum, human nihil a me alienum putt." That is, "I am human, and nothing of that which is human is alien to me" (from Heautontimorumenos, or The Self-Tormentor.) Born a slave, Terence put what he knew of the human into six plays before he died at the age of 25. 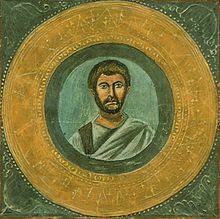 Hurrah for the African-Roman playwright, Publius Terentius Afer, who told us well before B. C. became A. D. what we still need to know. Spend the day with two dozen authors! Johnathan Scott Barrett, Rise and Shine! 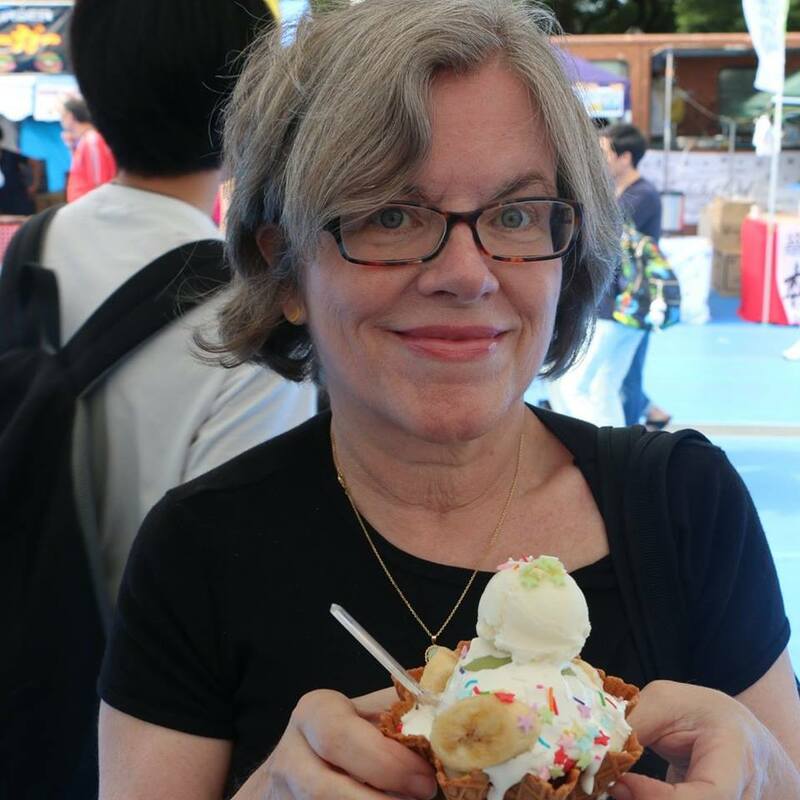 Beginning at 12:00 noon on Sunday, September 20th with a "Moveable Feast" -- a sit-down lunch where authors come to sit and talk with you right at your table, Triangle Reads features an afternoon of panels and book signings from some of your favorite -- and soon to be favorite! -- writers. You will also get to tour Trio -- the debut installation of art and music inspired by sixteen beloved works of Southern literature. Read more about the Trio concept on the facebook page. Books will be for sale from area independent bookstores, and every ticket includes a $20 voucher for the book tables. The first giveaway for Maze of Blood is scheduled to open for entries at midnight on Friday, August 21. Entries will come to an end at midnight on Sunday, August 30. The official pub date for the book is September 1st. Eligible? If you are a Goodreads member in the United States, Canada, United Kingdom, Australia, Brazil, Chile, Denmark, Falkland Islands (Malvinas), Finland, France, Germany, Greece, Greenland, Iceland, Ireland, Netherlands, New Zealand, Norway, Spain, Sweden, Switzerland, Thailand, United States Minor Outlying Islands, or the Virgin Islands, you are eligible to enter. Why those countries? WHIM. Again, the giveaway will be open for entries starting midnight on Friday, August 21 through midnight on Sunday, August 30. Click on "giveaway details" to go straight to the book listing. 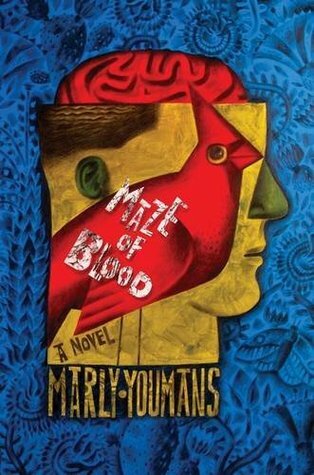 Midori Snyder on "Maze of Blood"
A pre-pub review pilfered from novelist Midori Snyder's In the Labyrinth, a great place in general, and also a great place to find a review of "Maze of Blood," labyrinths and mazes being kindred... Though near the end of the pre-pub period (pub date is September 1), the book is already available. Marly Youmans' new novel Maze of Blood is a fictionalized biography of a small town writer, based on the life of pulp fiction author Robert E. Howard, noted for his stories of extravagant adventure as well as his suicide at thirty years old, coinciding with the death of his mother. For both Howard and the protagonist Conall in Youmans' novel, it is hard to imagine a more terrible beauty than a writer’s life imploding in a maze of contradictions: to be gifted with boundless imagination but compelled to remain rooted in the dry soil of a Texas oil boom town; to have a mother as muse filling his childhood with a love of poetry and epics, and then emotionally trapping him in the narrative of her own slow dying; to connect via mail to an admiring world of fans and writers, and to be marginalized by local friends disparaging his work as a worthless activity. 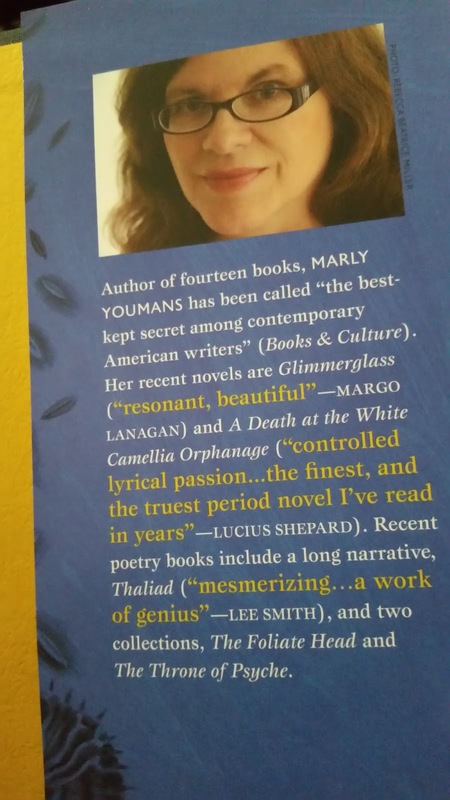 Youmans’ evocative prose digs deep into the visceral ache of living perched between sublime poetry and harsh reality, between the refusal to compromise a writer’s prodigious vision and the price paid in isolation and loneliness. The novel is full of mythic moments: Conall believes his imagination was formed at childhood when touched by the luminous fire of a falling meteorite. He is alive to the world when he is creating it, folding in history, poetry, and epics into his story telling. There is something heroic about the way he rejects anything in mundane reality that interferes with that passion. 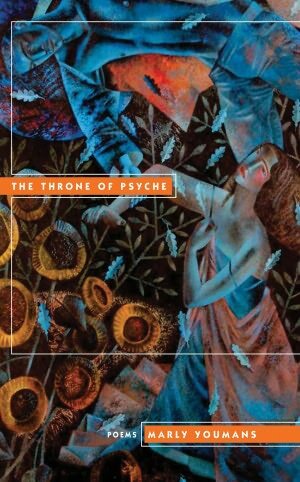 Yet, Youmans also reveals the darker side of compulsions, the siren-song of his mother, calling him to a love of language, but drowning out all other voices save hers that might have influenced his life in a different direction. Maze of Blood is a difficult story, but one so beautifully crafted by Youmans, unraveling in short chapters like prose poems constructed from spare dialogue, the dusty Texas landscape, a sudden flash of vibrant nature, and the sweep of a starlight sky. 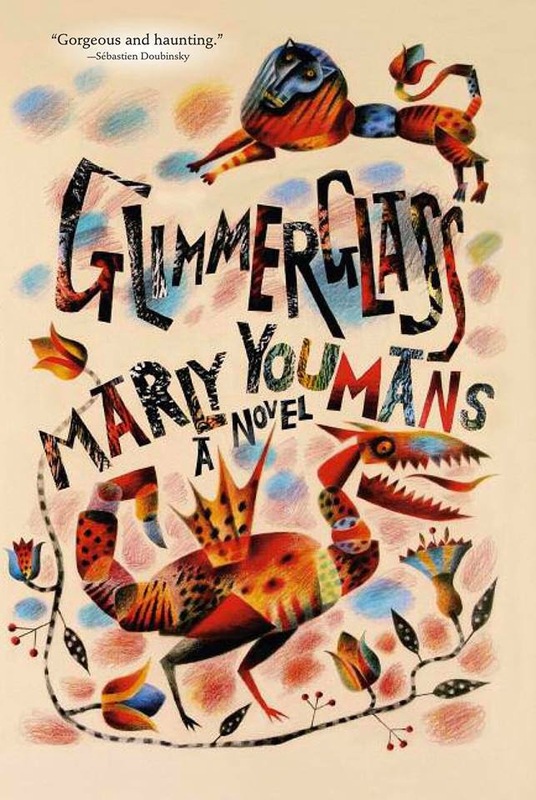 The reader can not escape the tragedy of the story, but Youmans weighs it against the more powerful scenes of a gifted storyteller, whose originality and labors transcend the confines of his life, allowing us a chance to celebrate the writer's efforts-- and perhaps because it burned so brightly in such a bleak place, we value it the more. 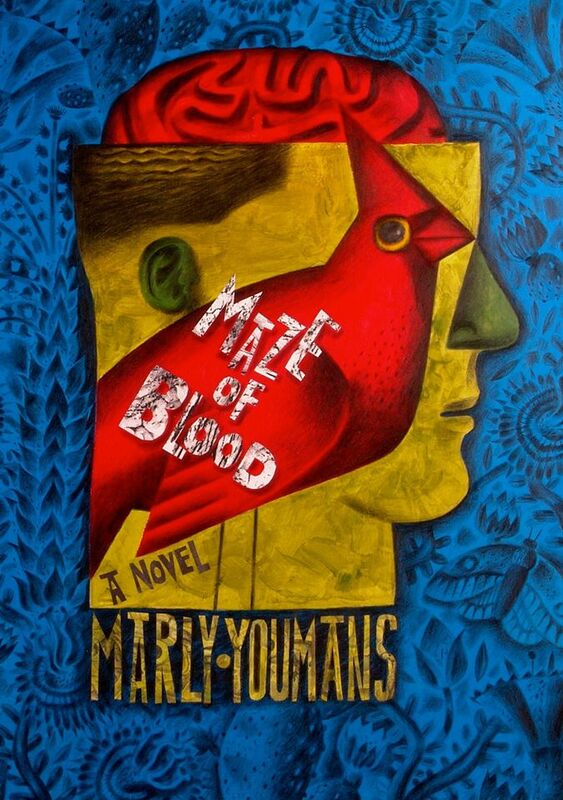 Maze of Blood by Marly Youmans is due out later this Fall from Mercer University Press -- with another handsome cover from Clive Hicks-Jenkins and design from Mary-Frances Glover Burt. Check out the tempting sneak peeks of the art shown above and below.